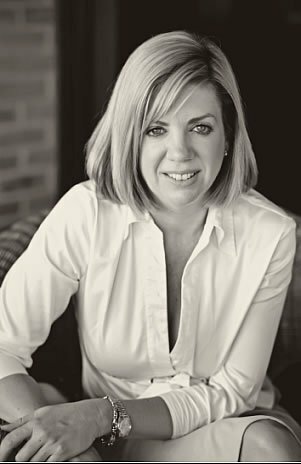 Amanda began her career in 2002, when her passion for beautifully designed weddings led her to study with the Association of Bridal Consultants to become a wedding professional. Since then, Amanda has been planning and designing exquisite weddings in the UK and abroad for the most discerning of clients, ranging from business professionals to celebrities and sports personalities. Amanda is one of the few UK Wedding Planners with extensive experience of coordinating destination weddings in some of the most romantic locations in Europe. Her knowledge from having planned such events offers Amanda’s clients the peace of mind in knowing that their special day is in expert hands. Her meticulous organisational skills, sincere approachability and unfaltering dedication have awarded Amanda with a reputation of being one of the elite and greatly sought after Wedding Planners in the UK. Amanda is regularly featured wedding expert sharing her knowledge and advice, as well as offering couples tips and information about the latest wedding trends. Back in 1995, Siobhan recognised a gap in the market for designated co-ordinators to help couples through the wedding planning process saving them time, money and disappointment. Siobhan is acknowledged in the industry as the UK’s first Wedding Planner. 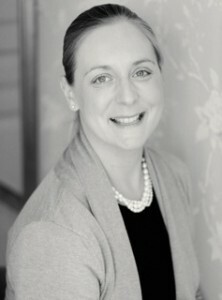 Siobhan is now established as one of the UK’s leading wedding co-ordinators. Her beautiful weddings have featured in Hello, OK! and many bridal magazines in various countries around the world. Her famous clients include Joan Collins, Barbara Windsor, Greg Kinnear, Sacha Mascolo-Tarbuck, Des O’Connor and Ronni Ancona. She was GMTV’s resident wedding expert and featured on the show for the Interactive wedding (2002-2006) where she designed various aspects of a wedding for the viewers to vote on. 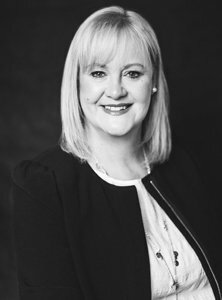 Siobhan writes for various wedding magazines and is frequently requested as a speaker at business seminars and wedding shows. She is also frequently hired as a consultant for wedding related TV and radio shows, new venues and other suppliers within the wedding industry. In 2005 she launched her DVD, ‘From This Day Forward’, a guide to planning the perfect wedding. As well as still planning a limited number of weddings a year and running the NAWP, Siobhan now spends some of her time guest lecturing to Event Course/Degree students at various colleges and universities in London. Hazel is well-known as the wedding industry super-connector in the South West of England. Her eponymous consultancy provides wedding businesses, venues and suppliers, with targeted marketing, sales and PR support. Her career began over 15 years ago in hospitality where she soon developed an interest in events and particularly weddings, growing that aspect of the business for the various hotels she worked for. Following a degree-level marketing course Hazel combined her flair for organisation, creativity and attention to detail with the commercial acumen that had spearheaded her success in hospitality, to create the leading consultancy she runs today. Her mission is to help those in the wedding industry to drive up standards, collaborate with each other, seek new opportunities and run their businesses more profitably. To this end she has devised sell-out events such as the Cornwall Wed MeetUp which offers networking for those in the business of weddings to get together, forge valuable connections and learn from industry leaders, and sales and marketing workshops such as the WedShed initiative that guides SMEs on best practice. Hazel also works with businesses on an individual basis, blogs for Ultimate Wedding Magazine and is the very enthusiastic host of Twitter’s highly popular #WedChat for the wedding industry and future brides and grooms. Tracy Butterfield is perhaps best known as the founder of WEDx seminars and workshops. Ask Tracy what she does, and she will say "I champion Wedding Professionals". A major connector within the wedding community, she's passionate about inspiring, motivating and building communities. As an image consultant she worked on her first wedding some 20 years ago and since then has held positions as a wedding planner and co-ordinator at two stately homes, Operations Manager at a 5-star hotel, GM of both a Golf and Event Club and a Gastro Pub, as well as running her own music and entertainment venue. It’s fair to say that she’s seen the business of weddings, hospitality and customer service from all sides! In 2014 her passion for the wedding industry and those that work tirelessly within it, led to her founding the Four Counties Wedding Awards (4CWA), recognising and rewarding the excellent customer service of those in the wedding industry. 4CWA has fast become a community that brings together and supports its members. Fast forward to 2017 and the desire to create unique events for the wedding industry that would ‘weducate’, inspire and motivate was realised in the formation of WEDx. In 2018, Tracy joined NAWP as Director of Development. Photograph courtesy of Cat Lane Photography.